Image courtesy of Merchant Sons. Toronto-based Merchant Sons has launched a line of contemporary home decor products for the Canadian market. The Merchant Sons summer 2017 collection combines a clean and modern look, with a timelessness that appeals to the urban male demographic and beyond. The Merchant Sons’ team researched materials and established partnerships directly with family-owned factories around the globe, including local Canadian businesses. 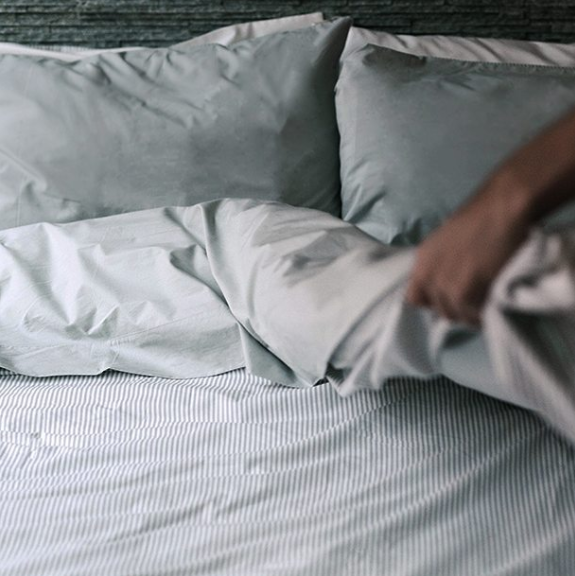 Bed sheets are a custom blend of the performance fibre Tencel, sourced from Austria, and long-staple cotton from Egypt, which is then woven, dyed and finished by a family-owned mill in northern Portugal. Quick-drying, absorbent towels are made in Turkey with 100 per cent combed Turkish cotton, while home accents are produced by workshops in the Greater Toronto Area – the sweatshirt fleece used for the signature Merchant Sons blanket is custom made by one of the last knitters and dye houses in Ontario. The Merchant Sons summer 2017 collection is now available at www.merchantsons.com.